Heroes Of Newerth Beta Keys | HoN Beta Key Giveaway! Heroes Of Newerth (HoN) is multiplayer action RPG game based on Warcraft 3 - DotA or an updated version of it. 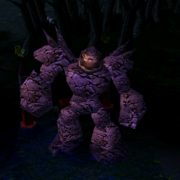 HoN has some really good graphics and features which have attracted a large number of DotA-Allstars players towards it. DotA-Utilities is giving away 6,500 Heroes Of Newerth Free Beta Keys and we will distribute it in passionate gamers. In order to get a Heroes Of Newerth Beta Key just keep an eye on the comments! We will post HoN Beta Keys batch after time to time. You can find working beta key from it. If you don't find any working Heroes Of Newerth Beta key, Just post a comment we will post another batch again! Tip: Check the newest comments for working Heroes Of Newerth Beta keys. We are still posting them! Note: Please do not post your email address now. You can find HoN beta keys on comments. After getting your HoN Beta key go to: http://beta.heroesofnewerth.com/create_account.php and register an account using it. Then Download Heroes Of Newerth and Play! Heroes Of Newerth Beta Keys, HoN Beta keys, Heroes of newerth beta invite, hon beta keys, heroes of newerth dota beta keys, beta keys hon. Hello, I want Heroes Of Newerth Beta key. My favorite Hero: Mirana - Priestess Of The Moon. My Favorite Hero in dota is: Netherdrake - VIPER. Thank you Dota-utilities crew for this great opportunity! Beta Keys have been sent on the email addresses above. Please do not post email addresses now. Here is the batch of 25 Beta Keys. You can use it. Please post comment, If you don't see any working beta key. More beta keys will be posted after a short peroid of time to time. When do u think u will post some again? where is the new batch opf beta keys?! 318iumkbfc3v5rt-----My Key !!! Thanks Dota Utilities , Hope You Get More Beta Key For All People !!! All the beta keys are active. dota-utilities.com is the best !!! So guys you want more beta keys ??? Shout out!!! Does this batch still work? when are u posting the new beta keys? Can you email me a beta keys please..
Tweet this site to get more beta keys ! please...you so cool post so much..please....give me more. I JUST DID. can i have a key now? We will not email beta keys on your email address, So it's useless to post your email here. THanksssssssssssss for HoN keys you guys are great keep it up!!!!!! Tweet this page.. 25 more keys coming! can u please post more of em please. seriously ikinda jelous with u guys. i want key. please another post please. how come it been taken. hurm disappointed. really hope i would get it soon. best website ever! tnx dude! Hey there, could I have a beta-key please? I'd love to play some hon and sadly I always seem to be late on beta key giveaways, except maybe this :). i cant use any bete key why? Woah, thanks so much, got my beta-key, finally, you guys own =D. Please send me beta key! I'm a follower of dota-utilities and the forum! Please give me beta key!!! See ya in the game!!! all are already being used.. Help!! Tweet this page to get more beta keys. tell your friends for this site. Because we have seen some people are selling those beta keys. Just visit Dota-Utilities for the latest tools. Above Keys are added few minutes ago. So we recommend you to try these keys. We can't mail those keys to everyone, because it will take more time. The Other batch of keys will be added in an hour. If you want Hon beta keys to be coming.. Tweet this page! Just share this page your friends OR Tweet it. We will post more keys!! can u send me a beta key? i need beta key.. please please please... naitzrk@yahoo.com is my email.. thnx a lot and more power! Tweet this page for more keys. haiz. i missed it again. are you those 25 keys still working? pls more beta key,,,^^, tweet!tweet!tweet! i want a code too if possible. couldn't get a valid one till now. peaple one who have key he can invite another my email is sasa.cvetkovic@yahoo.com ... pls GET MORE KEYS AND POST!!!! Me and two friends got our account here. Thanks dota-utilities!! Hello, I want Heroes Of Newerth Beta key. Please. Tweet this page on your twitter profile so we can continue posting keys like this. Love - got key for my mate too! I know,but i don't have Twitter. when will you post another batch of beta keys? no more working beta keys, some more pls?